This ticket allows people (over 18 years old) to access all days of Bergenfest 2019 from 12th June - 15th June. This ticket allows young people (under 18 years old) to access all days of Bergenfest 2019 from 12th June - 15th June. This ticket type does not give access to the Magic Mirrors telescope. 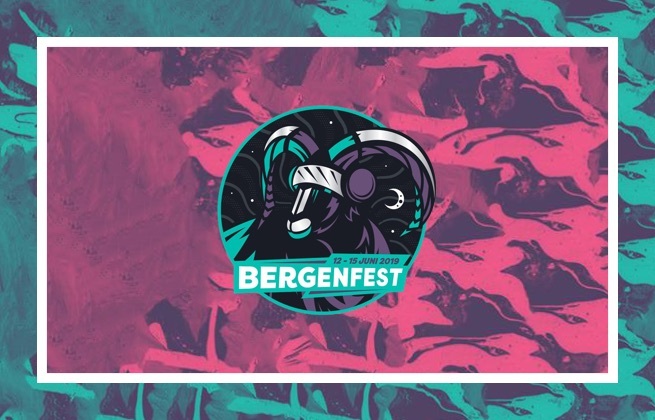 Purchase your Day Ticket Friday for Bergenfest 2019 here! The 14th of June 2019. Purchase your Day Ticket Saturday for Bergenfest 2019 here! The 15th of June 2019. Located 5 kilometres from central Bergen, this hostel is just 200 metres from the Montana bus stop and offers 2 fully equipped guest kitchens, a games room, free private parking and free gym access. There are 78 rooms providing simple accommodation with either private or shared bathroom facilities and some include a seating area and a desk. Guests can relax in the communal lounge with a fireplace where free Wi-Fi is available and vending machines are located in the hostel. Enjoy the views of Bergen in the garden that features a patio with a BBQ. Bike rental is available on site as well to enjoy the surroundings and a grocery store is within a 2-minute walk from the hostel. Mount Ulriken, the tallest mountain in Bergen, is only 100 metres away. Magic Hotel Solheimsviken is located in the popular Damsgårdssundet, close to the newly opened walk and cycle bridge to the city center. With a walking distance of 1,7 km you can follow the seafront towards the Science Center, downtown and the famous Bryggen. If you prefer public transport it’s just a 3 minutes’ walk to the nearest light rail stop at Danmarksplass. With 217 hotel rooms and private parking facility, the hotel is a great choice for groups and families, as well as individual travelers for both leisure and business. 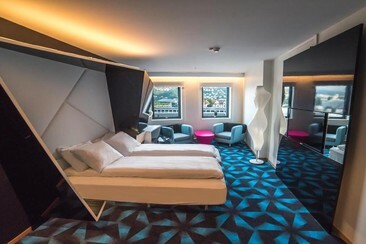 Relax in your comfortable bed, get social in the lobby area or enjoy a nice afternoon on the hotel’s lovely rooftop terrace, where you can enjoy the magnificent views of Bergen and the surrounding mountains. Pets allowed. 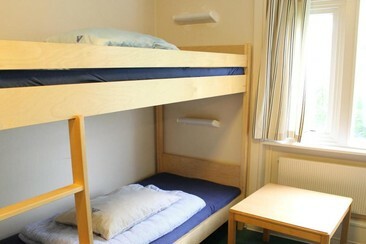 The Basic Hotel Bergen offers forty-three quality rooms with modern décor and wooden floors. Though the hotel is not equipped with its own restaurant, breakfast vouchers may be purchased at reception and used in cooperation with a another nearby hotel. Only 10 minutes away from the famous Bergen Bryggen waterfront, the Basic Hotel Bergen is the perfect place to stay when looking for budget accommodation and excellent service. The hotel is located in Håkonsgaten 27, right next to Bergen Cinema, and in close proximity to several restaurants, clubs, and bars. Moreover, the Grieg Concert Hall and Bergen Museum are 5 minutes away on foot. The train station is also nearby, being a 10-minute walk from the hotel. Bergenfest is a multi-genre music festival in Bergen, Norway. One of the leading and most established in the country, the festival has grown over its 25 years. Starting as a blues and Americana festival under the name OleBlues, Bergenfest has since broadened its focus, putting together lineups that include everything from rock to pop, hip hop, and beyond. Situated in the heart of the city, at the North end of the UNESCO World Heritage site Bryggen, Bergenfest takes place in the picturesque and historic surroundings of Bergenhus Fortress. Bergenhus Fortress provides a unique and incredible festival venue, with sections dating back to the 1500s and huge lawn spaces surrounding the fortress itself.